You may notice that this website doesn't cover many of the newer well known planned communities in Florida. As I started driving around the state in the 1960s, I noticed homes popping up in these places. Most of them were subdivisions that were part of massive lot sales programs. Lots were sometimes sold by mail order for $10 down and $10/month for 10 years. I remember a General Development booth in Naples, Italy, where my ship docked in 1960. I was in the U.S. Navy, and several of my shipmates bought lots in Port Malabar (Palm Bay, Florida) as long term investments. These lot sales programs resulted in subdivisions popping up all over the state in the 1950s and 1960s. There were literally thousands of miles of paved roads with no houses. Grass was growing up through the cracks in the asphalt. The lot sales programs began to slow down in the 1970s when the federal government imposed new regulations. The homes continued to be built, however, and many of these communities today are examples of giant urban sprawl. Many of them are fine places to live, but I find myself driving around them on the back roads to avoid the traffic snarls. Most of the communities still have huge inventories of vacant lots with continuous home building going on. It is like driving through a giant construction project. Here are a few of these huge planned communities that sprang up in the era of lot sales programs. 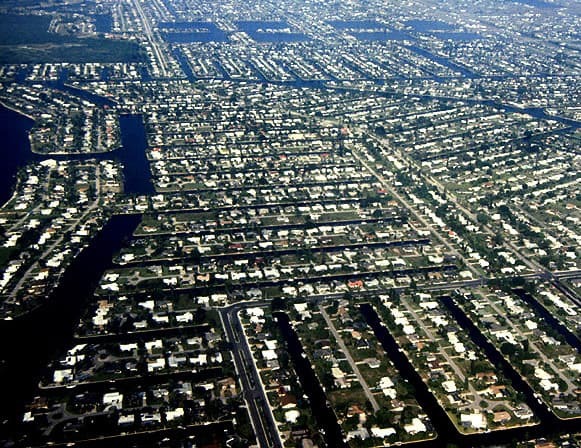 More Florida land was subdivided into lots in the 1960s than in the rest of the United States combined. This decade was the first time air conditioning was allowed to be included in home mortgages, and many older and retired people started moving to the state. There were several giant land companies formed in this era that specialized in promoting lot sales. They bought millions of acres of undeveloped land and platted lots for sale. They perfected the art of low money down, low monthly payment lot sales pitches. Lehigh Acres was probably the first of these. Lee Ratner was a successful Chicago businessman who owned the 60,000 acre Lucky Lee Cattle Ranch east of Fort Myers. In 1954 he formed a group to start the first big Florida lot sales program of this era. 135,000 lots were platted, and many of them are still vacant. Thousands were sold, however, and homes were built over the years. The population of Lehigh Acres in 2010 was 86,784. It continues to grow. In 1956, General Development Corporation was established by the Mackle brothers (Elliott, Frank, Jr., and Robert). Their first development in the early 1950s had been the very successful Villages of Key Biscayne. They hooked up in a venture with a Canadian firm that had purchased the 80,000 acre Frizzell cattle ranch in Charlotte County. 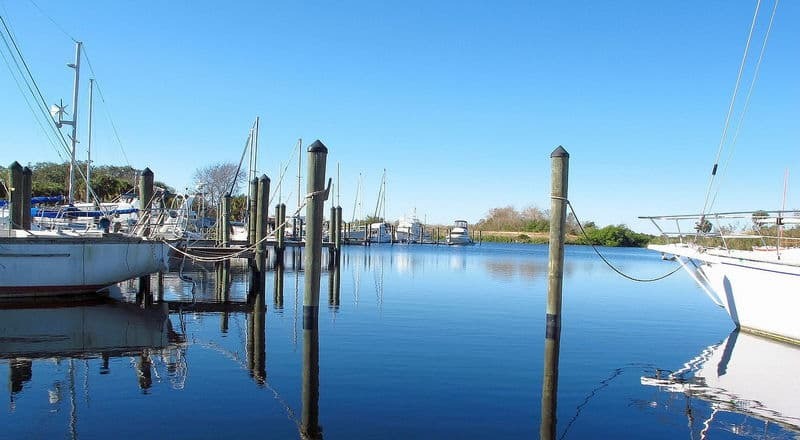 This land became Port Charlotte, and GDC also bought 100,000 acres just north in Sarasota County and named it North Port Charlotte, now shortened to North Port. In 1958, GDC bought land between Fort Pierce and Stuart and platted 80,000 lots in a community known as Port St. Lucie. Around the same time they bought thousands of acres west of Palm Bay and south of Melbourne and platted lots in a new community called Port Malabar. The Mackle brothers left GDC in 1962 and formed Deltona Corporation. This entity developed Deltona, Marco Island, and many others. 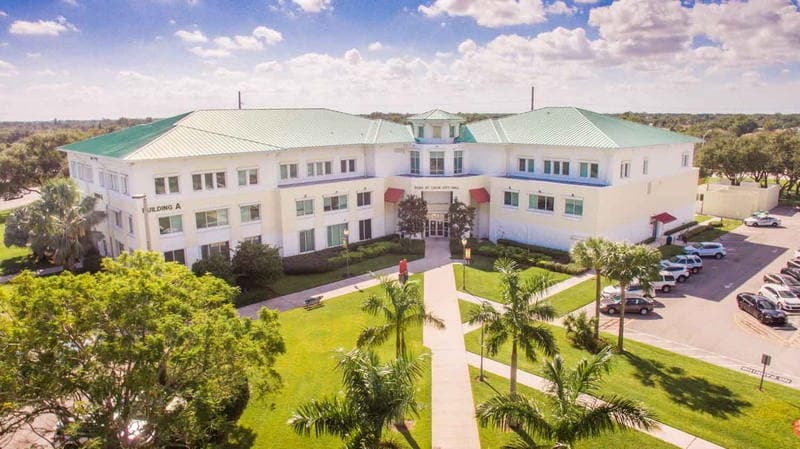 The Rosen brothers, Leonard and Jack, formed Gulf American Land Corporation in 1957 and began the development of Cape Coral on the Caloosahatchee River across from Fort Myers. Gulf American also developed Golden Gate Estates east of Naples. South Florida was impacted by Arvida Development Corporation, founded in 1956 by Arthur Vining Davis who had been the top guy at Aluminum Company of America and became a land developer after retiring from that business. He bought the Boca Raton Hotel and Club and thousands of acres of land, including beachfront. He developed Boca West, Kendall in Miami-Dade County, as well as Bird Key, Lido Key, and much of Longboat Key in the Sarasota area. These and other development corporations were also active during this era and among their developments are Silver Springs Shores (22,000 acres near Ocala); Rotonda West (25,000 acres near Englewood); Citrus Springs (34,000 lots near Inverness); Marion Oaks (near Ocala); St. Augustine Shores; Sunny Hills (17,000 acres near Panama City); and Spring Hill (33,000 lots west of Brooksville). One thing you might notice that many of these communities have in common is a street or boulevard named Elkcam. This is Mackle spelled backwards. Not all of the big communities that sprang up in the 1950s and 1960s were mail order lot sales programs. 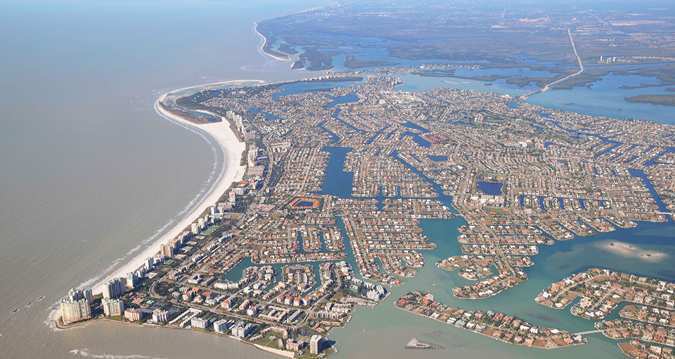 One of the largest and most modern of these developments is Palm Coast north of Ormond Beach. In 1969, ITT Rayonier began developing 68,000 wooded acres into 48,000 lots. The work was done through ITT Community Development Corporation, a company headed by William "Big Bill" Levitt, the first modern big time residential lot developer who created Levittowns up north after World War Two. The population of Palm Coast in 2014 was 80,000. Another that comes to mind is Coral Springs in Broward County. It was planned and developed by Coral Ridge Properties (headed by James S. Hunt) and became a city in 1963. Coral Ridge Properties was bought by Westinghouse in 1966 who continued to develop it. It's population in 2017 was 133,000. 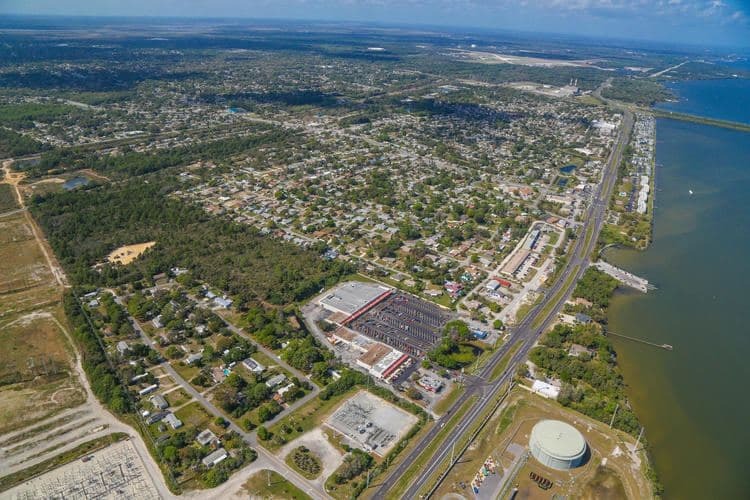 Palm Coast and Coral Springs were well planned with plenty of space for businesses, schools, parks, churches, and the other amenities that make for a good place to live. They are among the most successful of all the modern Florida communities.